P.R.E.P. 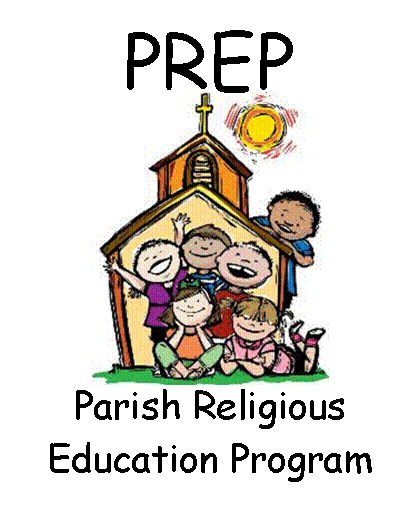 (formally known as CCD) is a religious education program available to parish children from Level 1 through Level 7. Through P.R.E.P., our parish provides education in the faith for those unable to benefit from the Catholic school system. The program is staffed by the D.R.E. with volunteer catechists (teachers, co-teachers and aides) sought from the congregation. Catechists must be confirmed Catholics, high school graduates, with no canonical impediments to the sacraments. Aides may be under 18 and currently in high school. All instruction is faithful to the Magisterium of the Church. Texts used are in conformity with the Catechism of the Catholic Church and approved for use in the Diocese of Philadelphia. Please note- Starting in the Fall of 2018 classes for our P.R.E.P. program will be moving to Tuesday evenings from 6:15pm to 7:30pm. P.R.E.P. registration will begin in August, run into September and take place in the gathering space in the lower church. Once registration is closed, children will have to wait until the following year to be placed in the program, so it is imperative that families take this opportunity to register. For students not within the Parish boundaries of Epiphany, you must have a letter of permission from your pastor, allowing you to attend Epiphany P.R.E.P. Finally, the program fee is payable upon registration. (Payment methods will be cash, check or money order) Should there be any change to the program fee, it will be noted in the parish bulletin. Please make sure to have all of the necessary documents and fees present at the time of registration. If the listed items are not available to you, please come back when you have them. If you have any questions or issues with the above, please see us for assistance. I thank you in advance for your cooperation in this matter. Once the definite dates and times are schedules they will be posted on this webpage and also on our Facebook Prep Page as well. For more information about our PREP program or contact Edward J. Specht IV, D.R.E.